Note that:The commands used in this tip must be entered in a command prompt (administrator mode). Start>type "cmd" in the Search bar > Press CTRL+SHIFT+ENTER keys simultaneously. Open a command prompt in "administrator". Published by jak58. Latest update on October 19, 2016 at 05:00 PM by Olivia Long. 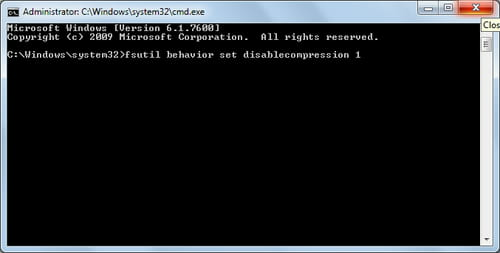 This document, titled "Disable compression of NTFS volumes," is available under the Creative Commons license. Any copy, reuse, or modification of the content should be sufficiently credited to CCM (https://ccm.net/).